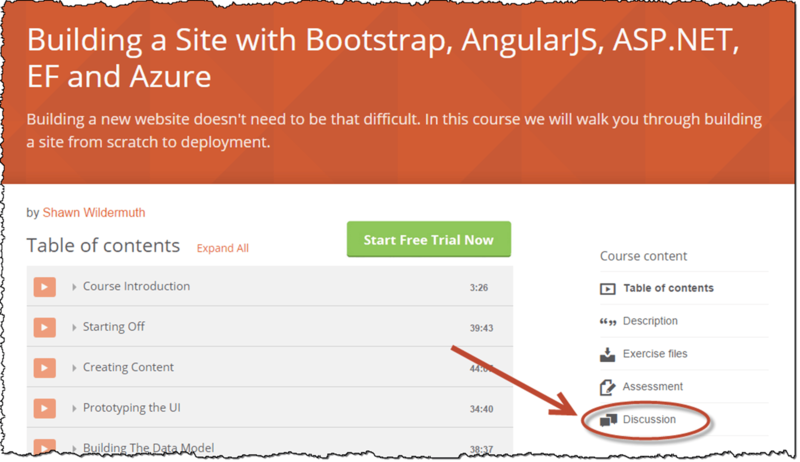 I am delighted to be creating courses for Pluralsight. It’s fun and it’s something I can do while I am travelling on the http://wilderworldtour.com. I hope the students are getting a lot out of the courses and am happy to answer questions when they get stuck. But it seems that many of the questions end up as messages directly here on my blog or even directly to my email address. The only problem with this is that if I answer questions directly, the other students can’t benefit from them. Funny thing is that I get a lot of duplicate questions so that going to the discussion tab and searching would solve many questions. I try to be active there and answer questions as fast as I can. In some cases, other students have answered the questions better than I could. Great to see the power of a mini-community in action! Thanks again for watching my courses!